Imagine for a moment that it is Sunday morning. Your house is clean, you’re caught up on your work, and you have some free time. Free time is lovely, but sometimes it's difficult to know what you can do. Especially if like me you are on a budget. Maybe you don’t feel like takeout from the chain restaurant down the street for the third week in a row or binge-watching "Unbreakable Kimmy Schmidt." If this situation is one you relate to, the following list of tips are some that I have found to be successful in spicing up my free time. 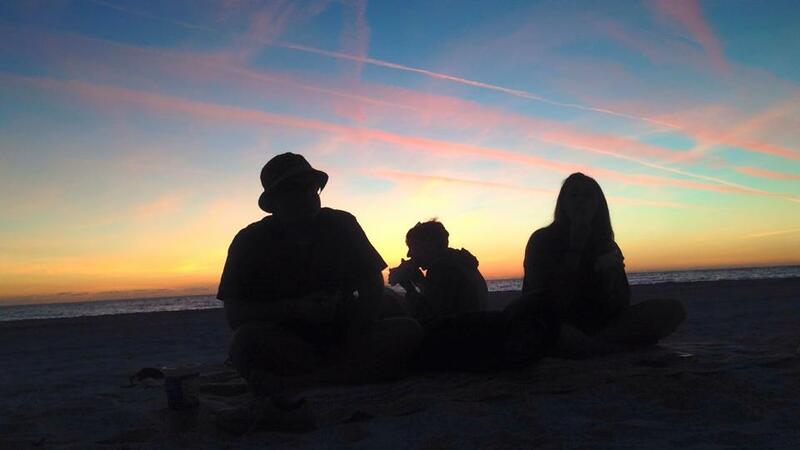 I invite you to try one or all of these ideas for experiencing Tampa on a budget. 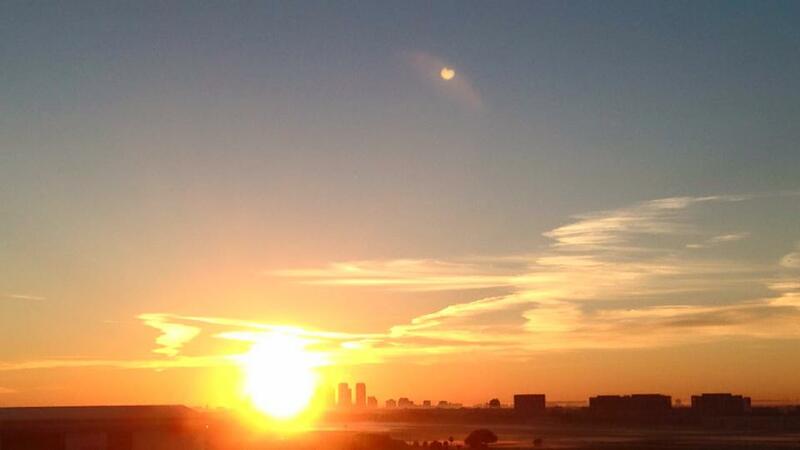 Start your day with a spectacular sunrise from the top of the visitor parking garage at Tampa International Airport. Keep your visit under an hour and enjoy a free morning experience over Raymond James Stadium as Tampa and the bay area awakes. Another great way to see Tampa on a budget is to spend an afternoon picnicking on the grass at Curtis Hixon Waterfront Park overlooking downtown Tampa and the Hillsborough River. Grab food to-go from a nearby restaurant like Jerk Hut Downtown Cafe or Eddie and Sams New York Pizza, spread a blanket, and people-watch or update your followers on social media with a spectacular aesthetic. Fun events in Tampa often take place at Curtis Hixon such as Sunday yoga in the park with Yoga Downtown Tampa and the Incredible Duck Race. 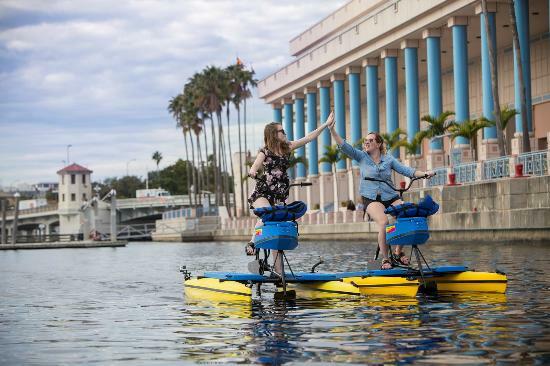 While downtown, you can take a stroll on the Tampa Riverwalk, or get on the water with a water bike from Tampa Bay Water Bike Company. If the river is your speed but the biking isn't, you can opt to float along with Pirate Water Taxi to any one of more than a dozen stops. Explore the city of Tampa on a budget with free rides from the Downtowner Tampa Free Ride Service or hop aboard the TECO Line Streetcar System and travel over to historic Ybor City. On Saturdays the Ybor Market is where to find unique handmade items at affordable prices. This laid-back Tampa on a budget idea incorporates one of my favorite spots in the city, the expanse of grass and trees lining the end of Davis Islands. There you'll find a field perfect for a pickup game of soccer or ultimate frisbee, a running and biking path, a waterfront dog park, and trees where you can hang a hammock to enjoy the bay and read as boats float in and out of the Davis Island Yacht Club. Move a bit further inland, and you'll find yourself strolling through Hyde Park Village. You may choose to grab a bite to eat, shop for home goods, or paint a new piece of pottery for yourself or a loved one at Color Me Mine Tampa. If you're fortunate, it's the first Sunday of the month which means the Hyde Park Market is in full-swing. Most weekends there is something interesting happening in the village. I can't leave out this Tampa on a budget favorite, Bayshore Boulevard. This seven mile stretch of sidewalk is lined with free workout equipment and offers an unmatched panoramic view of downtown Tampa and Tampa's South Shore. 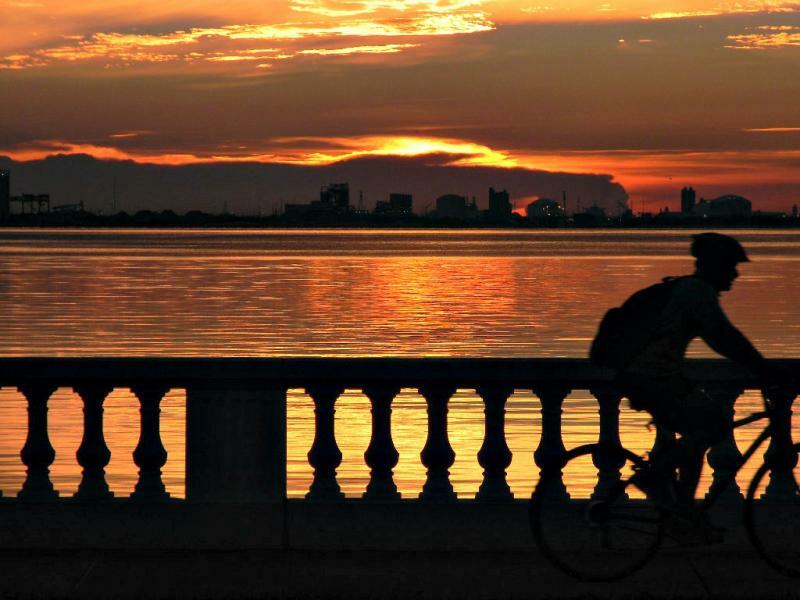 You can walk, run, jog, bike, scooter, or skate along Tampa Bay and, if you're lucky, be graced by the presence of dolphins, sharks, or a school of rays. 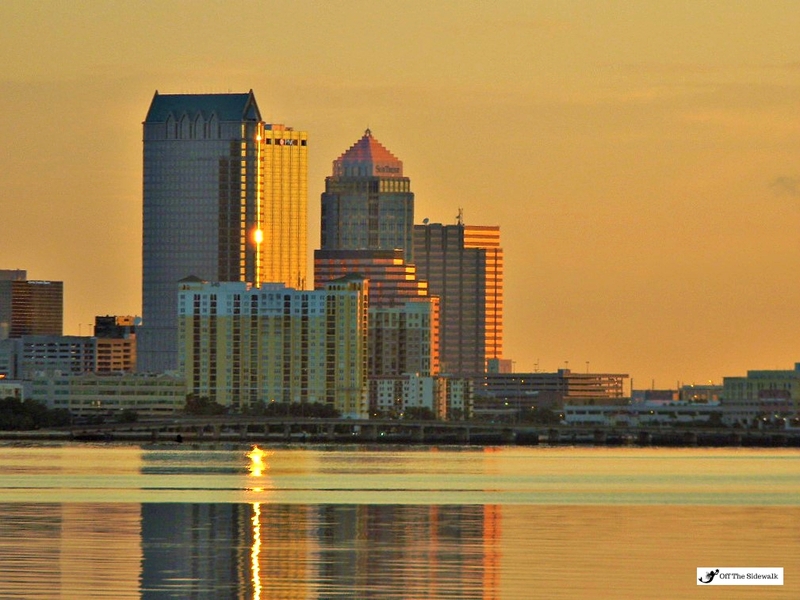 When you are in Tampa on a budget, FREE is easy to afford! 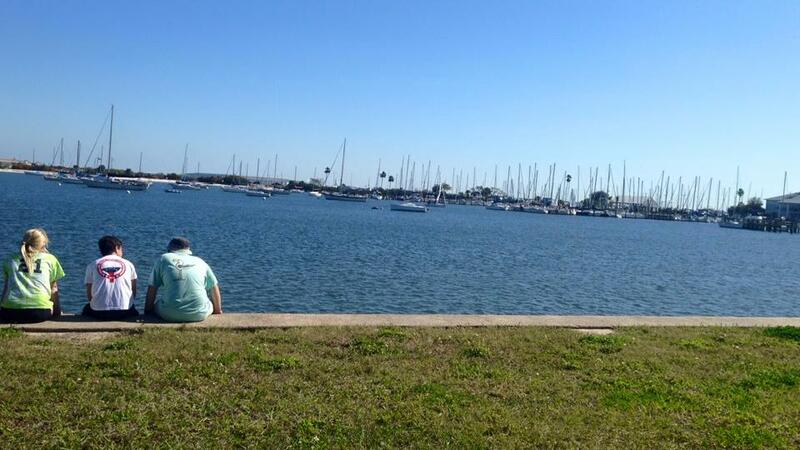 Follow Bayshore to the south end, and you will discover Ballast Point Park and the Pier. At the foot of the pier is a bait shop where you can buy frozen bait before casting a line alongside seasoned professionals. 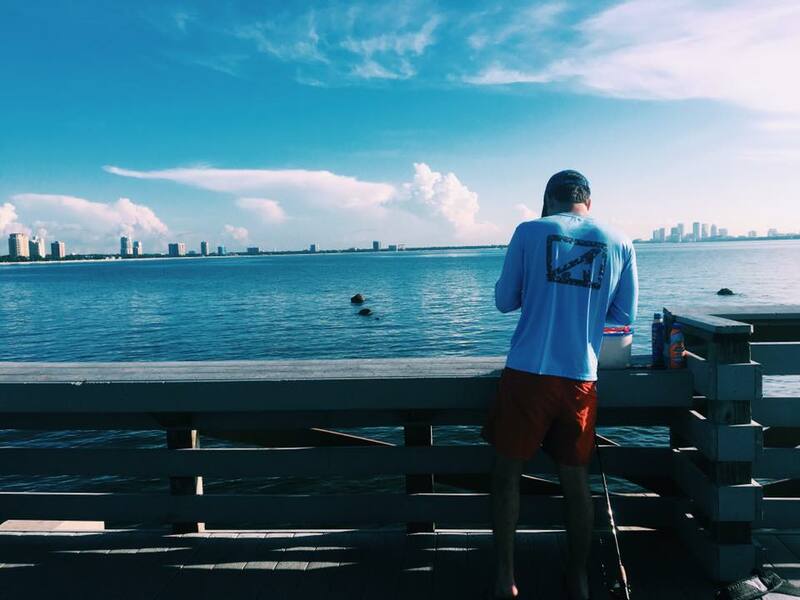 If fishing isn't your style, walking the pier provides fantastic views and the occasional family of manatees. 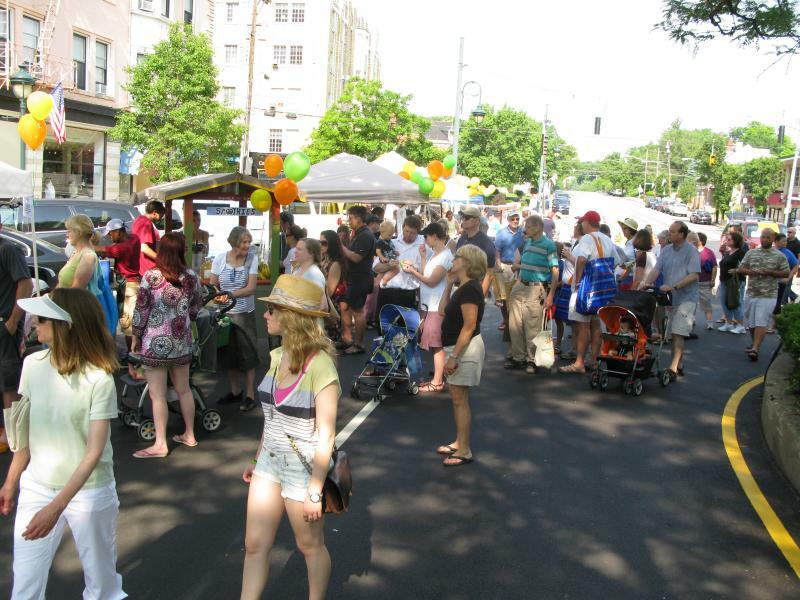 Next to the bait shop, you find a free splash pad and playground for kids as well as a long standing waterfront restaurant, Taste of Boston. If you decide to check out the restaurant, consider enforcing the cell phone stack rule where everyone at the table stacks their phone out of reach. Barring an emergency, the first person to remove their phone from the stack foots the bill for the whole table. This may seem extreme, but it is a sure-fire way to encourage engaging conversation. If you have enough free time for a drive, you certainly won't regret a trip across the Gandy Bridge. At the end on the right is my favorite Race Trac where you can buy a giant slushie to pair with a Pub Sub on the way to the beach. Along the way, I'd highly recommend a stop at Smuggler's Cove Adventure Golf for a round of mini golf next to some mini gators as well as a scoop from locally famed and favorited Candy Kitchen on Madeira Beach. Locals flock to Candy Kitchen to enjoy old-time candy and sodas, homemade fudge, and ice cream. A budget-friendly family-owned shop, prices are a throwback too! Of course, if you don't have the free time for a trek to the Gulf, my favorite sunset spot in Tampa is found at Cypress Point Park. When living in Tampa on a budget, you need to know about these local favorites. 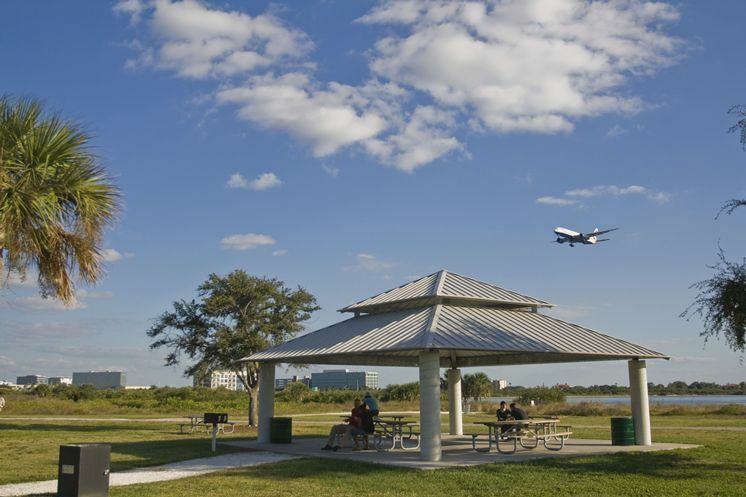 Complete with a pavilion and ample seating, this tiny beach provides views of flights coming and going from Tampa International Airport. Be camera ready for a picturesque selfie at sunset framed by the Gandy and Howard Franklin Bridges. I invite you to look at Tampa and the Bay area from a tourist's perspective and rediscover the place you thought couldn't possibly have anything new to offer.